Australia is set to get a “global first” $100 million innovation precinct that will foster innovation, support local startups and drive commercialisation. Malcolm Turnbull announced the partnership between the Chinese Ministry of Science and Technology and the University of New South Wales (UNSW) during his first trip to China as prime minister. The Sydney precinct is part of the Chinese Torch program, which has been responsible for around 150 similar innovation precincts in China. The innovation hubs of business, university and research groups account for around 7% of China’s GDP and 16% of export value. Deloitte estimates the UNSW Torch precinct will add $1 billion to Australia’s GDP over its first 10 years. “The Torch partnership is an important milestone in the further development of Sydney as Australia’s global innovation city, and in ensuring that university research generates even greater economic impact and social progress. This is an example of UNSW proactively taking the initiative to put some real momentum behind Australia’s National Innovation and Science Agenda,” he said. University International executive director and former Australia China Business Council chief executive Laurie Pearcey said he was confident with the $100 million target. “$100 million is an aspirational target and I have every confidence that that sort of target is not an unrealistic objective for us to be pursuing, albeit over the course of a staged process,” he said. 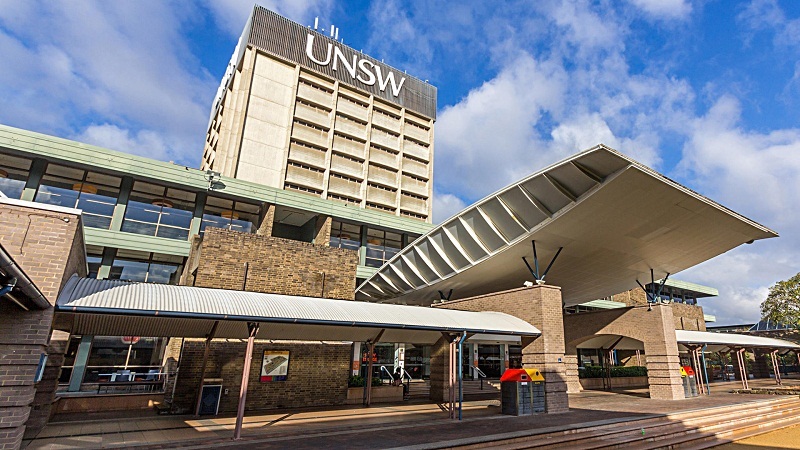 In the first stage of the partnership, eight Chinese companies will invest $30 million in research and development at UNSW in areas including advanced materials, biotechnology, energy and environmental engineering. One of the companies, a subsidiary of the Fuchunjiang Communication Group, is aiming to commercialise UNSW’s leading power cable technology which transmits electricity at significantly greater efficiency than conventional cable. UNSW vice-chancellor Ian Jacobs said the Chinese partner companies would take products to market which were developed from UNSW research with the university retaining a share of the intellectual property and benefiting from returns. “They look to match the expertise we have at UNSW with the expertise these companies need,” he said. He said he was confident that the investment would easily reach $100 million and could grow beyond that. “As it develops I would like it to expand and get Australian companies and other [Australian] universities involved,” he said. Professor Jacobs said China’s 150 Torch precincts were the driving force behind innovation in the country. Since 1988, 150 Torch innovation precincts have been built in which businesses, universities and research organisations partner to develop and commercialise new products. UNSW says China’s Torch precincts currently generate seven percent of the country’s GDP, 10 per cent of industrial output and 16 per cent of exports. “Torch zones are home to over 50,000 tenant companies and invest 347 million yuan in R&D,” said Laurie Pearcey, UNSW’s international executive director. “This is about future proofing our national competitiveness by strategically positioning Australia as China becomes the world’s largest investor in R&D to become the 21st century’s science and technology superpower,” Professor Jacobs said.